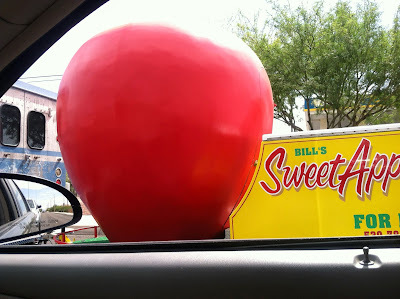 So imagine my surprise when a Giant Apple appeared beside me at a red light! 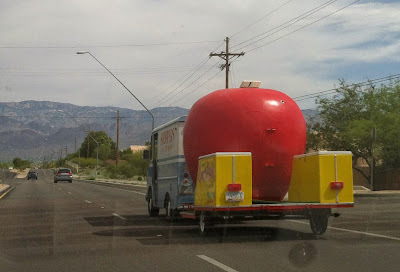 It is so big that it has a door in the back (2nd photo)! I guess it's a kissing cousin to that Giant Lemon I have posted here - the fun lemonade stand that goes to fairs. 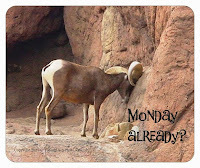 This one - dunno. The sign says that it is for rent. Now why would you want to rent a Giant Apple? It would be a great way to sell apple pies at a farmer's market!